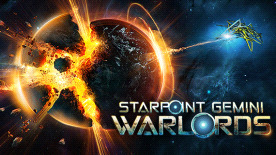 Starpoint Gemini Warlords is the next title in the Starpoint Gemini series, implementing many features requested by the Starpoint Gemini 2 community - the ultimate space adventure, combining simulation with RPG and 4X strategy elements. Strategy from the front lines! • Build your own personal headquarters to boost your economic and military power.